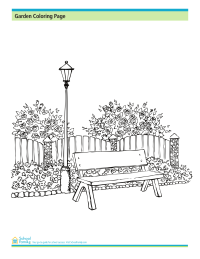 This coloring page shows a sidewalk garden with a bench and a lamppost. 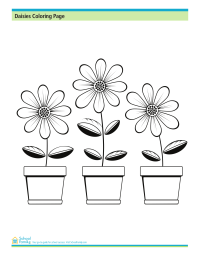 Three Gerbera daisies in pots are ready to be colored in! 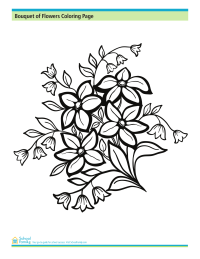 Enjoy coloring in this sheet showing a bouquet of wildflowers. 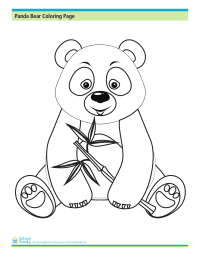 Have fun with this coloring sheet of a panda bear munching on a stick of bamboo. 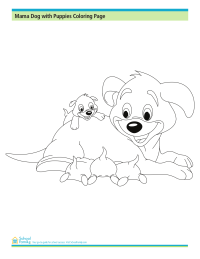 Enjoy this coloring page of a mother dog with four adorable, frolicking puppies.